Judy Endow, MSW, LCSW maintains a private practice in Madison, Wisconsin, providing consultation for families, school districts and other agencies. Besides having autism herself, she is the parent of three now grown sons, one of whom is on the autism spectrum. 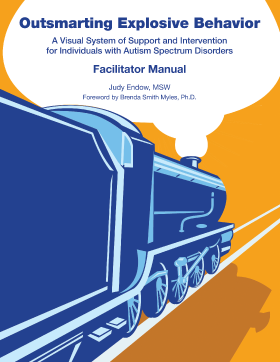 Judy does workshops and presentations on a variety of autism-related issues, has been part of the Wisconsin Department of Public Instruction Statewide Autism Training Team and a board member of both the Autism Society of America, Wisconsin Chapter and the Autism National Committee. She recently received the Dr. Cathy Pratt Award for Autism Professional of the Year. Judy is a Resource Specialist and a Clinician at Common Threads Family Resource Center in McFarland, Wisconsin. She continues to bring a great depth of understanding and compassion to all the work she does. 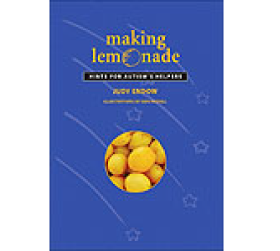 Her first book, Making Lemonade, Hints for Autism’s Helpers (CBR Press), shows how Judy has used the lemons of her autism to “make lemonade” in her own life. 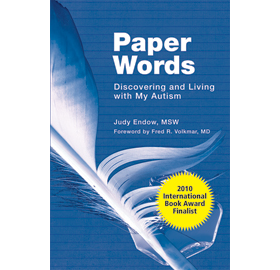 Paper Words, Discovering and Living with My Autism (AAPC Publishing) was an International Book Award Finalist in Autobiographies/Memoirs. 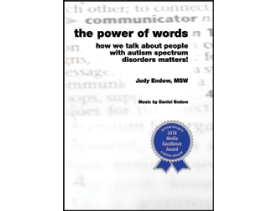 Judy has also received the Autism Society Media Excellence Award for her DVD The Power of Words: How we talk about people with autism spectrum disorders matters! (AAPC Publishing). In addition, she has authored the annual Hidden Curriculum Calendar for Older Adolescents and Adults, 2010 and 2011 (AAPC Publishing). 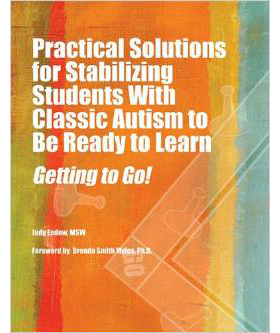 Judy has authored Outsmarting Explosive Behavior, A Visual System of Support and Intervention for Individuals with Autism Spectrum Disorders (AAPC Publishing) and Practical Solutions for Stabilizing Students With Classic Autism to Be Ready to Learn: Getting to Go (AAPC Publishing). Learning the Hidden Curriculum: The Odyssey of One Autistic Adult (AAPC Publishing), received an Eric Hoffer Award in Reference Books. 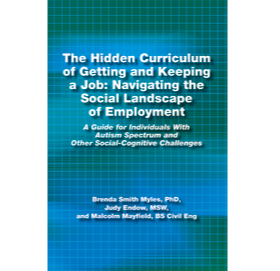 The Hidden Curriculum of Getting and Keeping a Job: Navigating the Social Landscape of Employment (co-authored by Brenda Smith Myles, Judy Endow and Malcolm Mayfield), is available (AAPC Publishing). 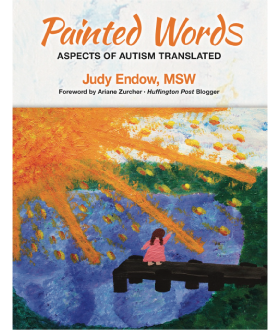 Judy’s newest book, Painted Words: Aspects of Autism Translated, is now available through CBR Press. A list of numerous articles, including book chapters, written by Judy can be found here.